HRV biofeedback or heart rate variability biofeedback is a tool for measuring the naturally occurring variations in your heart rate. HRV biofeedback is an excellent tool for managing stress, anxiety, and stress-related depression. HRV Biofeedback teaches you how to shift from anger, stress, fear (or other negative emotions) into a state of calm and clear thinking. Although new to many people, HRV biofeedback has been around for awhile. It was first used in the 1960’s as a fetal monitor to determine if the baby was in trouble during childbirth. Since then, HRV biofeedback has been used extensively for relieving stress, anxiety, and anger naturally. You do not need to know any science or math to practice HRV biofeedback. The HeartMath app is simple and easy to use; you simply clip on a sensor on your earlobe and use the app and follow the color scheme of going from red to blue to green. If you like science as I do, you may be interested in knowing more. 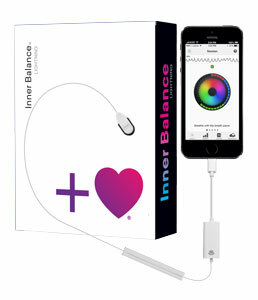 HRV Biofeedback trains you to shift and replace emotional stress with emotional balance and coherence. Why is HRV Biofeedback Important? HRV is a unique indication of health and vibrancy. Stress, anxiety, and depression reduce this biomarker. The association between depression and cardiac events has been well documented in Western medicine in recent decades. Low HRV is a common denominator in many illnesses including the inter-related diseases of coronary heart disease and depression. HRV is very important for heart patients. The cycle of stress, anxiety, and depression can lead to inflammation, heart disease, and low HRV. Interupt the cycle with HRV biofeedback and revitalize your health. HRV biofeedback provides the reliability of evidence-based science together with self-regulating behaviors such as using breathing techniques as well as other strategies discussed below. HRV biofeedback is non-invasive, inexpensive (when using smart phone app), and is an emerging area of biofeedback. Relieve stress naturally with HRV biofeedback. HRV is the measure of the naturally occurring beat-to-beat changes in heart rate. HRV is an indicator of how resilient the heart is and how efficiently it speeds up and slows down, even while resting. HRV serves as a critical biomarker for gauging human health, resiliency, and a predictor of all-cause morbidity. Simply put, HRV is the rate of change of heart rate. Heart beats with little variation over time (i.e. once per second) is indicative of low HRV. Clinically, the example of HRV of zero is not viable, and I use it here only to illustrate the point clear. A heart in physiological coherence generates rhythmic, symmetrical patterns, measured from the beat-to-beat changes in heart rate. As a person inhales, his or her heart rate increases; upon exhalation, the heart rate decreases. HRV is an invaluable biomarker, and underutilized in many areas of medicine and more broadly in healthcare today. Fortunately, this trend is turning and recently has HRV begun to gain recognition through research on stress and heart rhythm or HRV monitoring (not to be confused with electrocardiographs or arrythmia monitoring). Organizations such as HeartMath® have done extensive research in recent years on the relationships among HRV, stress, heart coherence, and the nervous and hormonal systems. How Can I Optimize My HRV? There are many practices that help you relieve stress naturally with HRV optimization. Some people will want to stick with evidence-based approaches whereas other people are open to ancient practices. Experiment explore and find a practice that is “just right” for you. How To Relieve Stress Naturally is dedicated to helping you find solutions to stress, anxiety, and stress-induced depression. 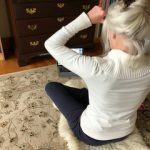 I use a combination of yoga, meditation, energy medicine, HRV biofeedback, essentially everything that I promote on this site. To learn more about HeartMath and order directly from the company click below. Reduce stress and anxiety the natural way. In addition to HRV Biofeedback to relieve stress naturally, consider adding the following to your lifestyle. Practicing short medical grade meditations is a highly effective way to optimize your HRV. Many of students who meditate regularly have excellent HRV outcomes. Combine 11 Minute Meds with 1HRV Biofeedback for a powerful strategy to relieve stress, anxiety, and stress-induced depression. For people who want to take stress relief to the next level, Kundalini Yoga (which includes meditations) is fast acting and is highly effective in counter acting the effects of chronic stress, anxiety, and stress-induced depression.